As the release date of the BLS’ “The Employment Situation – October 2013” report neared, economists had no reason to believe that hiring upturned considerably last month. After all, according to original estimates, 160,000 new jobs were generated each month, on average, during the third quarter, a much lower monthly average than was recorded during the first or second quarters. Additionally, the federal government shutdown resulted in the furlough of approximately 800,000 federal employees adding another element of question around the report. With this in mind, a majority of economists anticipated moderate job growth, projecting that roughly 100,000 to 150,000 new jobs were created in October. Surprisingly, the forecasts were not accurate, as total non farm payroll employment increased substantially, rising by 204,000– the largest monthly upsurge since February. Yet, despite the improvement in job creation, there was a very minor increase in the unemployment rate of .1 percent to 7.3 percent. Total private sector employment also continued to increase, rising by 212,000. The sector has reported steady job growth every month since March 2010; in that time, 7.8 million new jobs have been added to the economy. In addition, according to October’s jobs report, August and September’s total non farm payroll employment figures were each altered last month, rising by 60,000 jobs. As a result of these revisions, as well as October’s encouraging payroll figures, an average of 190,000 new jobs have been generated on a monthly basis since October 2012, a sign that recent job growth trends are indicating that non farm payroll employment will continue to steadily rise throughout the fourth quarter. As a surprise to some economists, total sector employment increased by 7,000 in October, rising for the first month since July. Prior to the upturn, the sector had recorded a net loss of 7,000 jobs between August and September. 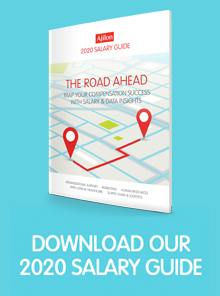 Approximately 7.9 million Americans are currently employed in the sector. In comparison to September’s job creation statistics, sector employment rose considerably last month, as 15,000 new jobs were added to the national economy. Unsurprisingly, almost 75 percent of the positions were generated by ambulatory healthcare services facilities, often the sector’s primary job creator. Earlier this year, economists were discouraged by the sector’s hiring statistics, as total employment declined by 17,000 from March to June. However, despite such a steady net loss of jobs, the sector has recovered considerably ever since. 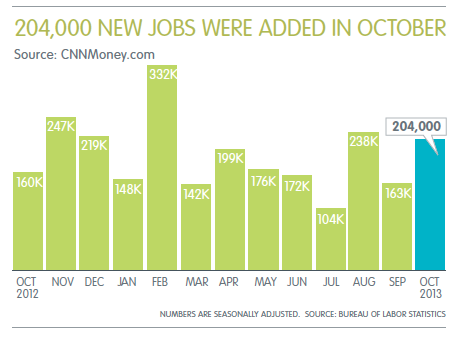 19,000 new jobs were generated in October, the largest monthly aggregate of 2013. Throughout the last four months, total sector employment has risen by 41,000. Hiring was particularly noticeable with 44,000 new jobs. Within the sector, accounting and book keeping services added 7,000 jobs, architecture and engineering services added 5,000 positions, and IT design and technical consulting had an employment increase of 10,900 jobs. Additionally, temporary employment added 3,300 positions to the sector as well. For the seventh consecutive month, the sector reported a net gain in employment, generating 44,400 new jobs in October. Since October 2012, 30,625 new jobs, on average, have been created each month. 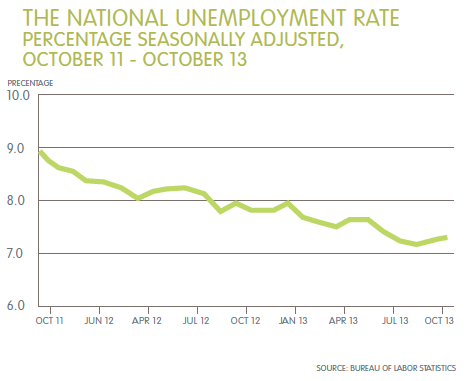 For more monthly economic and employment insight, visit ajilon.com today!